1. Go to /usr/share/applications or ~/.local/share/applications. 2. 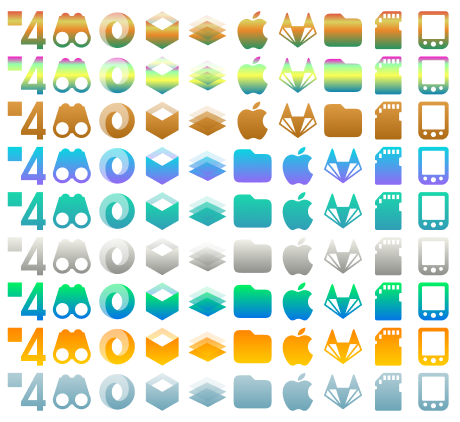 Find desktop files whose icons are missed. 3. Open each desktop file with a text editor. I'll give that a shot. I was just going to wait till you did the next update to be honest. I found a few other small issues regarding the top panel icons and the raven sidebar applet icons as well. I could screenshot it, and show you what it looks like but that could just be a desktop issue. Please show me the screenshots. Please fix icons for Atom and FreeCad (installed from Flathub). Sorry for my long absence. I have just upgraded the icons theme, icnreasing from 2,2 to 4,7k icons and fixed more than 200 icons and others, including the session icons and the trash icons. It supports officially Steam and Flatpak icons now. If you want to know why I was too absent, please read the first screenshot. Thank you a lot! I have logged in just to thank and congratulate the author for this masterpiece. This is the best icon theme I have ever used! I'm really glad I found it! 2) Add the text "Inherits=Yaru" right before the text "Example=folder". This will fix the big icons where 8px sized icons are used in the system, for Suru++ Icons Theme doesn't provide such icon size. As for the inheritance in the theme index file, I will consider it in the next release. Thank you a lot, 2carats! Sorry for my long absence. 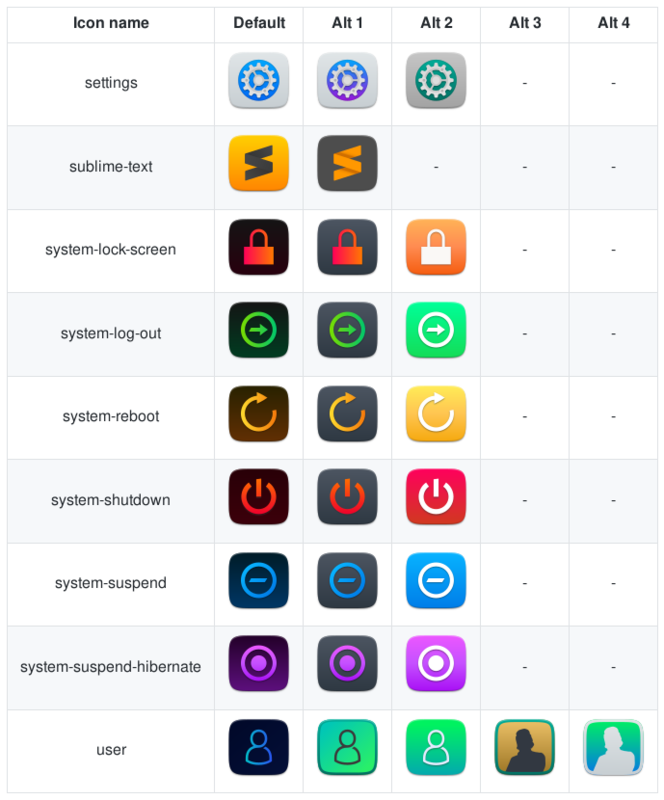 I have just upgraded the icons theme, increasing from 2,2 to 4,7k icons and fixed more than 200 icons and others, including the session icons and the trash icons. It supports officially Steam and Flatpak icons now. Suru++ Circle, as Flastemite are listed too. As you requested, I list Suru++ Squares in the future. All the icons have been added. As I have just upgraded and finished this icons theme, I will copy this icons theme to Asprómauros. Soon the whole collection of Suru++, including Asprómauros and 25 will be supported for Oomox. The icon Gitkraken has been already added before. I just do not know how you install UpWork, Rambox, Subliminal Software and Toggle Time Tracker. Did you install natively, or via snap or flaptak? Hey, when I will be ready with the thesis, I will focus on my icons themes. Yeah, silly me, Gitkraken was there. For Upwork you need to have a freelancer account on their platform, so you may pass. Subliminal Messages is an app that bombards you with positive messages (you select or add) that enter your subconcious mind creating positive beliefs and self confidence. It's a life changer and I mean it. There are deb packages for each of them, I'm using KDE Neon. I've created some png's, but I am not a designer, so they are not the real thing, not svg's, do not respect design princples, etc. The subliminal one looks totally different, I've taken some other icon and modified it. But they are usable on my Cairo-Dock, but not system wide. Anyway, I can live with them, it's just a suggestion to make the pack even more complete. 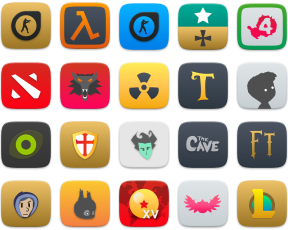 Really great job, this is by far the most complete, uniform and best looking (at the same time) icon pack for kde. And it may be the best looking for linux in general. We all thank you! You may be one of the greatest people alive! yea!!! Really grateful for your work! ++++++ Those icons look really wonderful! Congratulations for the great job!